Okay all, long time lurker with one or two posts. 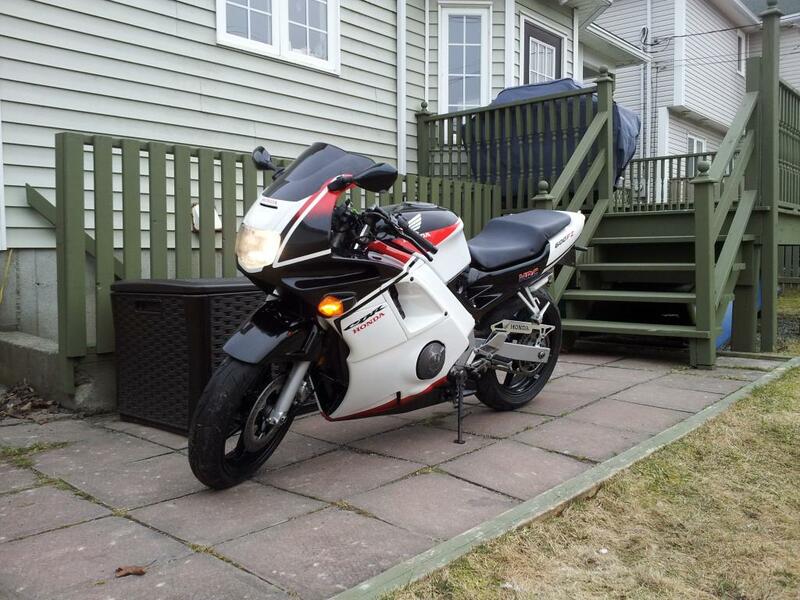 Thanks to all on the forum who provided info about their bike, how to do things, where to get things, etc. 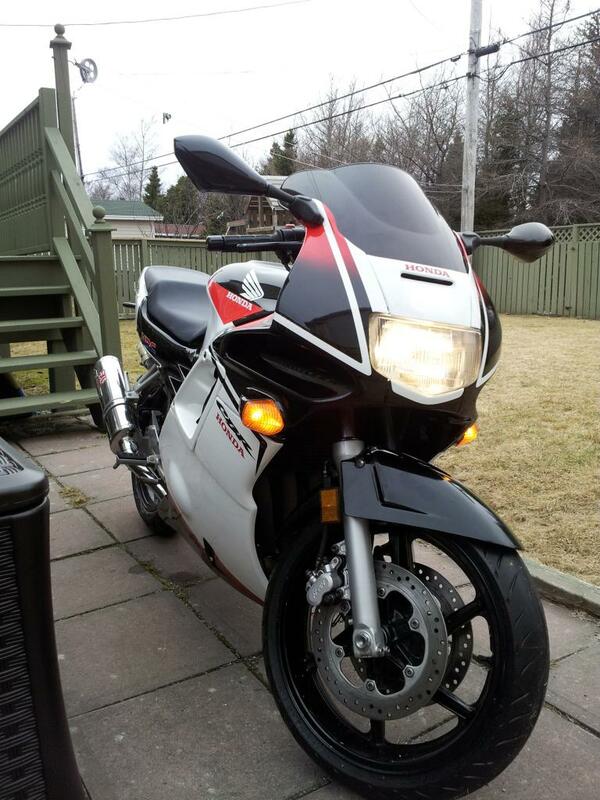 It's a '94 F2 with 10,000 Km's (Yes its Canadian). The bike had sat for a long time and when I picked it up last fall it was only because I remember loving these bikes oh so many years ago. It was a mess. The grime on the back wheel I swear was 1/4 inch deep and fairings were cracked all over. It was missing a bar end and the rear hugger as well. I worked a lot of overtime at my work this winter so I dumped some money into getting everything checked, fluids changes and such at my local shop. I've also added a Yoshimura pipe, K&N filter, and a bunch of other stuff, levers, screen etc. All did tail section delete and added new LEDs and a relay. It's still pretty cold here so I haven't gotten to ride it much but the few times I have I've been shocked at how fun this thing is to ride. Good ergonomics and steers great. Can't wait for summer! Here it is as of today! Nice! Lookin' real sweet, Jay! I gotta say, though, and you might have thought this already, but there seems to be quite an expanse of white on the lowers, that just seems to need something... have you thought of trying to incorporate some graphics in that area I'm talking about? By the way your builds threads have been instrumental in helping getting this done. I've gone through them at least a dozen (or two) times LoLOloLO. It just dawned on me too that I probably should have posted this in the media section. If there's an admin out there that wants to rectify that please feel free to do so. Well this is kind of "vague", but I guess if I were doing this, where the black part of the tail meets the lowers, I might bring some of that black forward, like a stripe through that white area, or something of the like... post up a "straight-on" shot of the bike from the side, if you could. By the way, those mirrors look great - the stalks and actual mirror pods are very similar to what I'm running, but I like the way they look where they mount on the fairing... where did you get those? By any chance could you post up a link to the seller, and maybe the part/item number? Yeah, I think know exactly what your thinking. The fairings themselves are ebay fairings. I just asked the seller to hold the sponsor decals (and close the holes in the rear tail, something else I learned on here). But I know a local guy that does really solid paint work and could easily bring the black forward, either solid or with some gradiated lines through it. I also have a white tank cover with matching graphics that goes with the fairings but the lines blended pretty well with the original tank so I decided not to put it on. Yet. 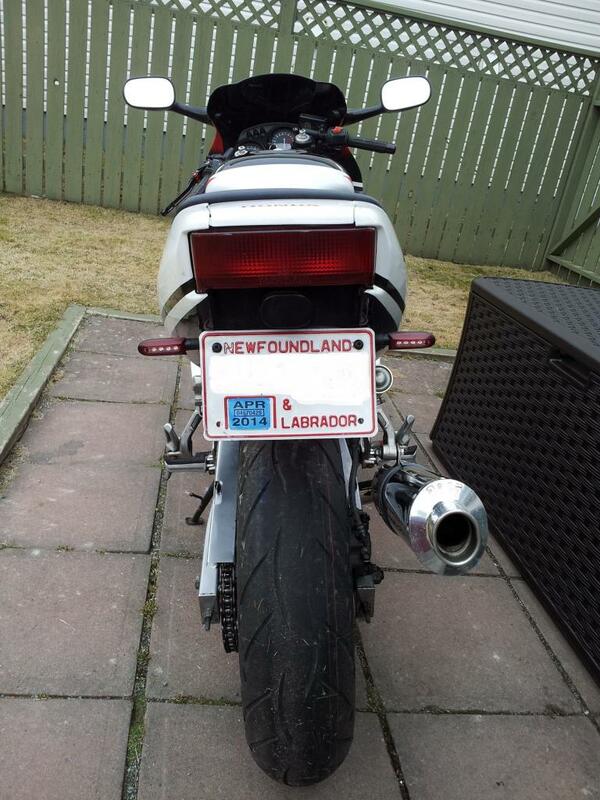 As for the mirrors the seller is '3BBB motorcycle in the US' (located in Taiwan of course!). The mirrors were a little difficult to be honest. I ended up using the OE rubber gasket and ditching the 10MM bolts that came with it and getting some longer ones, 2 inch I think, and now they are solid. The problem was a ridge inside the base for the mirrors that would not let me get the bolts all the way in from the outside. So I threaded the bolt from inside but then needed longer bolts and had to use the gasket with the lock nuts in order to get a firm hold where nothing moved. There's a plastic cover that then hides everything (base and bolts) and it fits pretty snug to cover everything no problem. 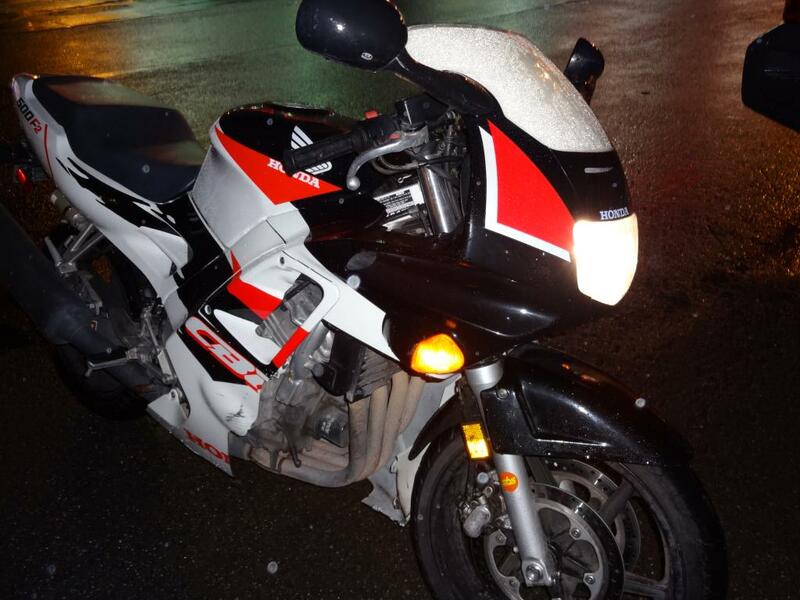 HONDA, SUZUKI items in 3BBB Motorcycle in US store on eBay! Thanks for the info on the mirrors - much appreciated! So you mentioned that you requested the seller leave of the sponsor decals... is this what would have been in that large space of which we are speaking? No problem on the mirrors. As for the decals they were mostly at the bottom where the red and black are and the large white space was pretty much as is. As for the decals they were mostly at the bottom where the red and black are and the large white space was pretty much as is. Gotcha... and I must admit, when looking at it straight-on from the side, it really doesn't look as "bare" as with the first pics you posted... maybe just a wee bit, but not so bad! And by the way, I agree on the tank - I think the OEM scheme on the tank works just fine with that set! By the way, I forgot to ask, but tell me about the chain guard that's currently on there - did you get it, or was it already on the bike? Can you get a close-up shot of that? 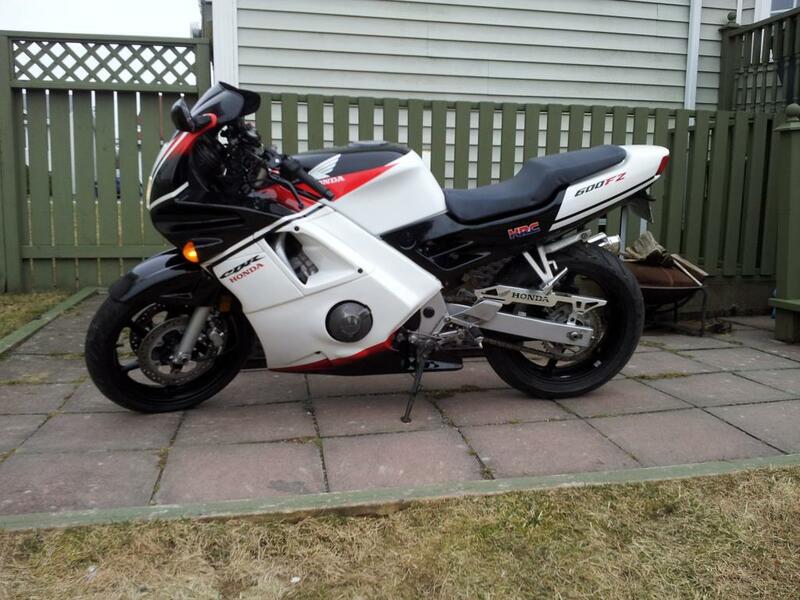 I need a hugger for the street bike, but I'm thinkin' I might just pull the one from race bike, and swap it over, and go with something like that for the race machine ... do you know where that one came from? Honda Cub C50 C70 C90 ANF Innova 125 Wave 110 CB CBF items in Moto-GaGa store on eBay! Where there was no hugger and I'm supposed to have the chain covered here I had to put something over it. The ebay ad included the dimensions so I measured it up and there was ample room in the bottom slots for adjustment forward and back. It's superlight (read thin) and cheap but comes in several colours. I bought the aluminum one but it was really more like chrome so I primed and painted to match the frame. For the front part I fabbed a bracket, kind of like, and about the size of a popsicle stick. One bolt in the existing swing arm spot and the other throught the forward end of the guard (you can just see it behind the foot guard in the side on pic). Bolted on like that its firm and I have no worries of it coming off.